A new study finds one in three college freshman dealt with a mental health condition before arriving at college. WBFO's senior reporter Eileen Buckley spoke to the leader of D'Youville College in Buffalo about how the school supports students with mental health concerns on campus. WBFO's senior reporter Eileen Buckley spoke to the leader of D'Youville College in Buffalo about how the school supports students with mental health concerns on campus. 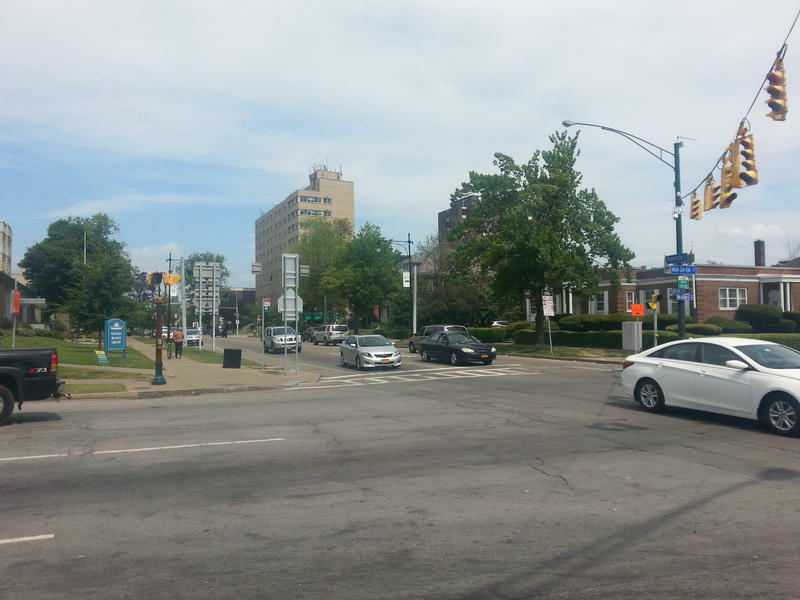 Another large student housing complex is coming to Main Street in Buffalo, as the University at Buffalo Medical School and all other branches of the Buffalo Niagara Medical Campus attract rising numbers of students. Niagara SPCA has a new Executive Director. He is North Tonawanda native and nonprofit executive Tim Brennan, and he plans to start work September 1. Buffalo Public Schools are strengthening one of the best city schools, by extending the connection between Leonardo da Vinci High School and D'Youville College. Da Vinci is being made more of a health sciences school by offering D'Youville college-credit courses. Niagara Street has changed a lot in recent years and will continue to change, according to experts speaking to a large crowd Wednesday night at the Rich Products Atrium on Niagara Street. What does the state's free SUNY tuition plan mean for private schools? 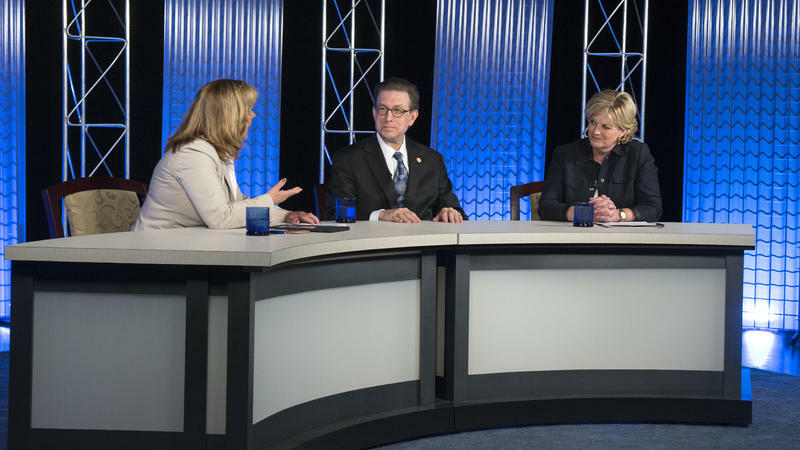 WBFO Senior Reporter Eileen Buckley sat down with Daemen College President Dr. Gary Olson and D'Youville College President Dr. Lorrie Clemo to discuss how they're dealing with the tuition plan—and why they opted out of the state's new Enhanced Tuition Awards. 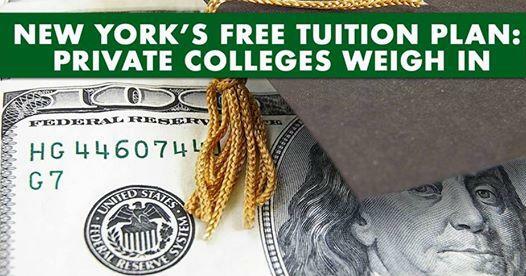 Free SUNY tuition: What does plan mean for private schools? What does the state’s free SUNY tuition plan mean for private schools? Join us on Facebook Live at 11:30 a.m. on Tuesday, July 11. 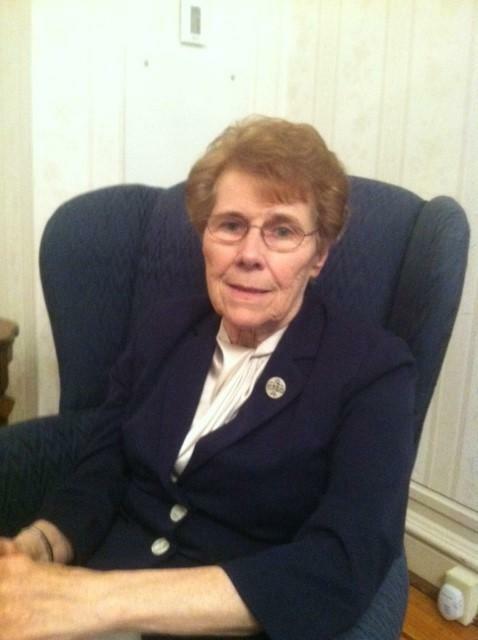 The former president of Erie Community College has died. 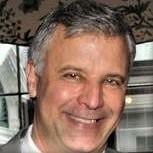 William Mariani, currently serving as executive vice president at D'Youville College, died unexpectedly Sunday. WBFO's senior reporter Eileen Buckley says Mariani served nearly a decade as the president of Erie Community College. Education students from D'Youville College can automatically be accepted and transferred to SUNY Buffalo State. 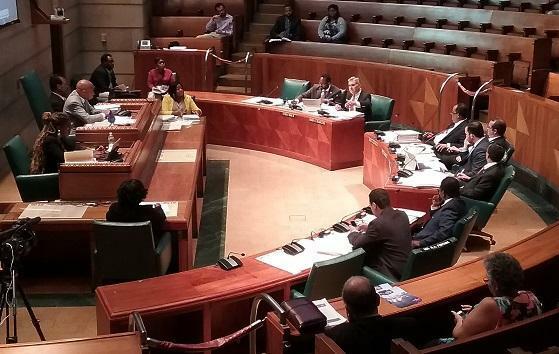 WBFO's senior reporter Eileen Buckley says since D'Youville announced it was suspending its education program, Buffalo State is trying to accommodate any interested students. 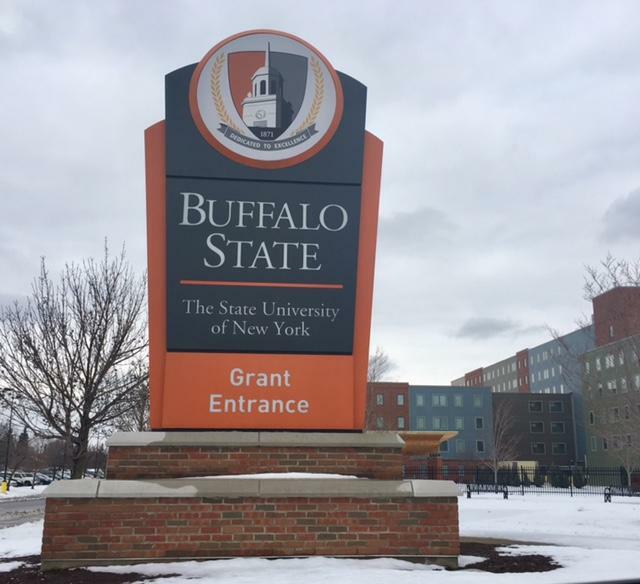 WBFO's Eileen Buckley reports on how Buffalo State is accommodating education students applying from D'Youville College. D'Youville College on Buffalo West Side is placing its undergraduate and graduate teacher education programs on hold for at least the next three years. 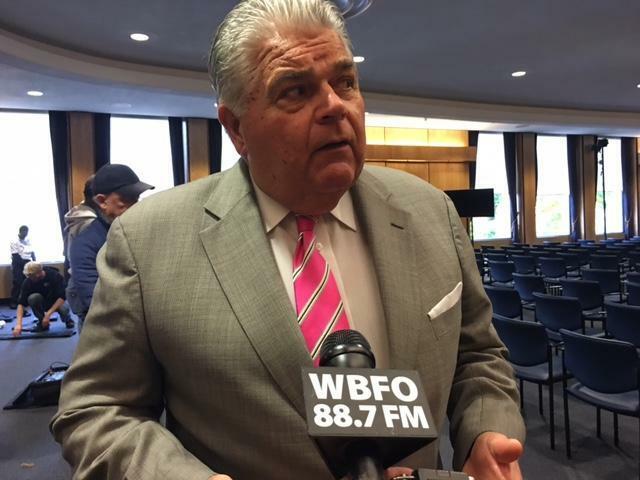 WBFO's senior reporter Eileen Buckley says the college is ready to restructure the program, but current students are not pleased. WBFO's Eileen Buckley reports D'Youville College is ready to suspend and restructure its education program. As city residents continue to file complaints about rowdy college students in their neighborhoods, members of the Common Council are struggling to find solutions. After having planned to shut off power to around 400 customers on Buffalo’s West Side Thursday, National Grid last Wednesday postponed that outage a day. The long search has started for a new president for D'Youville College, with current President Sister Denise Roche planning to retire next summer. After 36 years as president of D'Youville College, Sister Denise Roche announced her retirement, saying it's time for her to figure out what to do with the rest of her life. Construction workers are racing to get D'Youville College's new athletics field and locker room ready for the start of the fall sports seasons. What was once the site for perhaps this area's most famous hot dog stand may soon be the site for the hot dogs of sports on D'Youville College's new athletic field. More than 40,000 New Yorkers have fought through computer problems to sign up for the new national health care program under the Affordable Care Act. D'Youville College is significantly expanding its campus holdings. The school has added a 65,000 square foot structure with the purchase of the former Gateway-Longview headquarters building on Niagara Street. The building has a long history as its original foundations were laid in 1890. A spokesman for the school claims there are no immediate plans for the building, though it is likely to hold offices, classrooms and teaching laboratories. The purchase price was more than $700,000.